The Medal of Honor is the United States of America’s highest military honor, awarded for personal acts of valor above and beyond the call of duty. The medal is awarded by the President of the United States in the name of Congress to US military personnel only. The medal was first authorized in 1861 for Sailors and Marines, and the following year for Soldiers as well. Since then, more than 3,400 Medals of Honor have been awarded to members of all Depratment of Defense services and the Coast Guard. 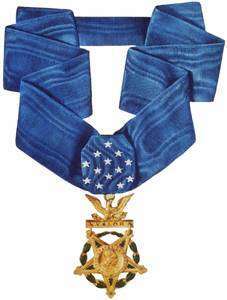 The Medal of Honor is usually presented by the President at the White House in a formal ceremony intended to represent the gratitude of the American people, with posthumous presentations made to the primary next of kin. Medals of Honor are awarded sparingly and are bestowed only to the bravest of the brave; and that courage must be well documented. Since 1861, eleven members of the 16th Infantry Regiment have been awarded the Medal of Honor. On 10 August 1861 in the severe fighting during the Battle of Wilson’s Creek near Springfield, Missouri, 1st Lieutenant Henry C. Wood, led a detachment of U.S. Army recruits in a charge against the enemy. During the charge, Wood was wounded but remained in command of the detachment during the remainder of the fighting. 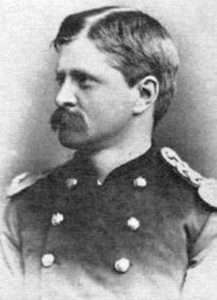 Immediately after the battle, Maj. Gen. John C. Frémont, U.S. Army, cited Wood for “conspicuous gallantry and highly meritorious conduct from the beginning to the close of the battle.” Wood was subsequently awarded the Medal of Honor on 28 October 1893 for his actions that day. Summary of assignments and other background information. Lieutenant Colonel, 13 March 1865 for gallant and meritorious service during the battle of Wilson’s Creek. Colonel, 13 March 1865 for diligent, faithful, and meritorious service in the Adjutant General office during the war. Final Status: Retired from the U.S. Army 26 May 1896 as Colonel, Assistant Adjutant General. Location of Recipient’s Medal of Honor: Wilson’s Creek National Battlefield Park, Republic, MO. On 5 May 1864 during severe fighting in the Battle of the Wilderness near Fredericksburg, Virginia, under heavy fire of the advancing enemy, First Lieutenant John H. Patterson, commanding G Company, 11th U.S. Infantry, picked up and for carried several hundred yards to a place of safety a wounded officer of his regiment who was helpless and would otherwise have been burned in the forest. 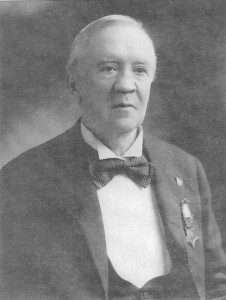 For this action, First Lieutenant Patterson was awarded the Medal of Honor on 23 July 1897. Unit: G Company, 11th U.S. Infantry. Place of Birth: Selkirk, New York. Captain, 1 October 1864 for gallant and meritorious service during the battle of Chapel House. Final Military Status: Retired from the U.S. Army 6 February 1899 as Brigadier General, U.S. Army. Date of Death: 5 October 1920. 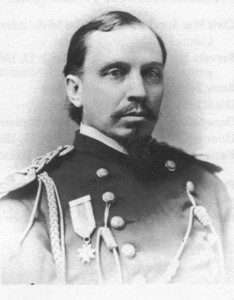 Between 5 May and 18 June 1864, Captain James M. Cutts displayed unsurpassed gallantry in action while serving as Acting Field Officer, 11th U.S. Infantry at the battles of the Wilderness, Spotsylvania, and Petersburg in Virginia. On the first occasion, Captain Cutts was with the most forward elements of the regiment which had become separated during the heavy fighting west of Saunders Field. Due to his leadership, Cutts held the bulk of the regiment together during the very heavy and confused fighting in the Wilderness. The regiment successfully stood against a Confederate counterattack that forced the units on the regiment’s right and left to break and retreat. Cutts was able to withdraw the regiment back to a location where it reconsolidated and moved under effective control back to Federal lines. A similar effort was performed by Cutts during an attack on Laurel Hill near Spotsylvania on 12 May 1864. On this occasion the regiment, due in large measure to Cutts’ leadership, was commended for its performance under fire by General George G. Meade, commanding general, Army of the Potomac. On 18 June 1864, Cutts led the regiment forward in the initial assaults by the Army of the Potomac on the defenses of Petersburg, Virginia. 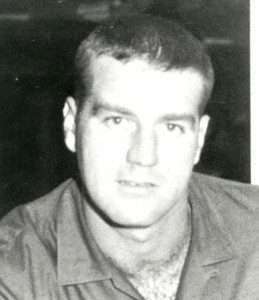 During the assault, Cutts, once again in the lead of his troops, was shot through the chest and initially, was believed to have been killed. He was recovered under darkness and immediately evacuated to a hospital in Washington, DC, on discovery that he was still alive. For these actions Captain Cutts was awarded the Medal of Honor on 2 May 1891. Unit: HQ, 1st Battalion, 11th U.S. Infantry. Entered Service at: Providence, RI. Place of Birth: Washington, DC. Date of Death: 24 February 1903. Place of Burial: Arlington National Cemetery, Arlington, Virginia. Location of Recipient’s Medal of Honor: With family members in Virginia. On 14 September 1900, Sergeant Henry F. Schroeder was in command of a detachment consisting of seventeen men from L Company and six men and a corporal from D Company at Carig in the Philippines. Surprised by an attack by an estimated 350 Philippine insurgents in the early darkness that morning, Schroeder quickly organized his men for defense Schroeder order them to opened fire as the “Insurrectos” made their initial attempt to overrun the American compound. Under Schroeder’s control the American fire was heavy and accurate and quickly repulsed the enemy. Early in the fight, one man was killed and Schroeder was severely wounded, but the sergeant stayed at his post, providing the guidance and direction that steadied the command. For over four hours, the enemy attempted to rush the small detachment, but Schroeder’s steadfast leadership kept up the men’s willingness to resist. Finally, Schroeder directed his men to attack. Amazed at the temerity of the Americans, the insurgents were soon driven off, leaving behind thirty-six known dead. An additional ninety rebels were wounded, and it was learned later, many of those succumbed to their injuries. For this action, Sergeant Henry F. Schroeder was awarded the Medal of Honor on 10 March 1902. Unit: L Company, 16th U.S. Infantry. Place of Birth: Chicago, Illinois. Entered Service at: Chicago, Illinois. Place of Action: near Carig, Philippine Islands. Date of Death: 26 January 1959. Place of Burial: Fort Rosecrans National Cemetery, San Diego, California. Location of Recipient’s Medal of Honor: 1st Infantry Division Museum, Wheaton, IL. 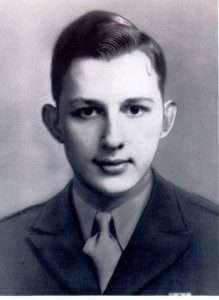 First Lieutenant Jimmie W. Montieth, Jr.
For conspicuous gallantry and intrepidity above and beyond the call of duty on 6 June 1944, near Colleville-sur-Mer, France. 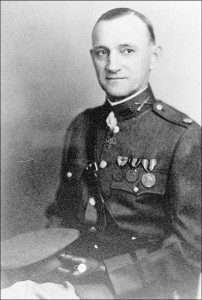 First Lieutenant Monteith landed with the initial assault waves on the coast of France under heavy enemy fire. Without regard to his own personal safety, he continually moved up and down the beach reorganizing men for further assault. He then led the assault over a narrow protective ledge and across the flat, exposed terrain to the comparative safety of a cliff. Retracing his steps across the field to the beach, he moved over to where two tanks were buttoned up and blind under violent enemy artillery and machine-gun fire. Completely exposed to the intense fire, First Lieutenant Monteith led the tanks on foot through a minefield and into firing positions. Under his direction several enemy positions were destroyed. He then rejoined his company, and under his leadership, his men captured an advantageous position on the hill. Supervising the defense of his newly won position against repeated vicious counterattacks, he continued to ignore his own personal safety, repeatedly crossing the two or three hundred yards of open terrain under heavy fire to strengthen links in his defensive chain. When the enemy succeeded in completely surrounding First Lieutenant Monteith and his unit, and while leading the fight out of the situation, First Lieutenant Monteith was killed by enemy fire. 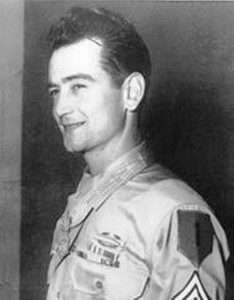 For this action, First Lieutenant Montieth was awarded the Medal of Honor on 29 March 1945 . Unit: L Company, 16th Infantry. Place of Birth: Low Moor, Virginia. Entered Service at: Richmond, Virginia. Place of Action: near Colleville-sur-Mer, France. Date of Death: 6 June 1944. Place of Burial: A.M.B.C. Cemetery, Colleville-sur-Mer, France. Location of Recipient’s Medal of Honor: Virginia Polytechnic Institute, Blacksburg, VA. Technician Fifth Class John J. Pinder, Jr.
For conspicuous gallantry and intrepidity above and beyond the call of duty an 6 June 1944, near Colleville-sur-Mer, France. On D-day, Technician Fifth Grade Pinder landed on the coast 100 yards off shore under devastating enemy machine-gun and artillery fire, which caused severe casualties among the boatload. Carrying a vitally important radio, he struggled towards shore in waist-deep water. Only a few yards from his craft he was hit by enemy fire and was gravely wounded. Technician Fifth Grade Pinder never stopped. He made shore and delivered the radio. Refusing to take cover afforded, or to accept medical attention for his wounds, Technician Fifth Grade Pinder, though terribly weakened by loss of blood and in fierce pain, on three occasions went into the fire-swept surf to salvage communication equipment. He recovered many vital parts and equipment, including another workable radio. On the third trip he was again hit, suffering machine-gun bullet wounds in the legs. Still this valiant soldier would not stop for rest or medical attention. Remaining exposed to heavy enemy fire, growing steadily weaker, he aided in establishing the vital radio communication on the beach. While so engaged this dauntless soldier was hit for the third time and killed. The indomitable courage and personal bravery of Technician Fifth Grade Pinder was a magnificent inspiration to the men with whom he served. For this action, Technician Fifth Class Pinder was awarded the Medal of Honor on 4 January 1945. 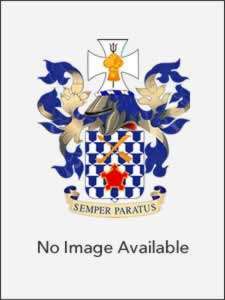 Unit: Headquarters Company, 16th Infantry. Place of Birth: McKees Rocks, Pennsylvania. Entered Service at: Burgettstown, Pennsylvania. Place of Burial: Grand View Cemetery, Hanover Township, Pennsylvania. Location of Recipient’s Medal of Honor: Memorial Hall, Pittsburgh, Pennsylvania. 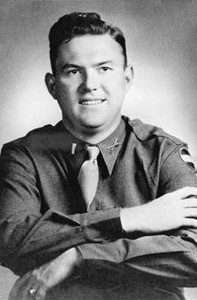 Technical Sergeant Jake William Lindsey, Sr.
For gallantry and intrepidity at the risk of his life, above and beyond the call of duty, on 16 November 1944, in Germany. Technical Sergeant Lindsey assumed a position about 10 yards to the front of his platoon during an intense enemy infantry-tank counterattack and, by his unerringly accurate fire, destroyed two enemy machine-gun nests, forced the withdrawal of two tanks, and effectively halted enemy flanking patrols. Later, although painfully wounded, he engaged eight Germans, who were reestablishing machine-gun positions, in hand-to-hand combat, killing three, capturing three, and causing the other two to flee. By his gallantry, Technical Sergeant Lindsey secured his unit’s position, and reflected great credit upon him and the United States Army. Unit: C Company, 16th Infantry. Place of Birth: Isney, Alabama. Date of Death: 18 July 1988. Place of Burial: White House Cemetery, Waynesboro, Mississippi. Entered Service at: Lucedale, Mississippi. Place of Action: near Hamich, Germany. GO Number, Date: #43, 30 May 1945. Place/Date of Issue: Presented to Technical Sergeant Lindsey by President Harry S. Truman at a joint session of Congress on 21 May 1945. Location of Recipient’s Medal of Honor: Unknown. Unit: H Company, 16th Infantry. Place of Burial: Long Island National Cemetery, Farmingdale, NY. Place of Action: near Heistern, Germany. Place/Date of Issue: Presented to Sgt. Nietzel’s family by President Barack Obama at Washington, DC, 18 March 2014. Location of Recipient’s Medal of Honor: with Nietzel’s family members in San Juan Capistrano, CA. Near Luchem, Germany, Private Robert T. Henry volunteered to attempt the destruction of a nest of five enemy machine guns located in a bunker 150 yards to the flank, which had stopped the advance of his platoon. Stripping off his pack, overshoes, helmet, and overcoat, he sprinted alone with his rifle and hand grenades across the open terrain toward the enemy emplacement. Before he had gone half the distance he was hit by a burst of machine-gun fire. Dropping his rifle, he continued to stagger forward until he fell mortally wounded only 10 yards from the enemy emplacement. His single-handed attack forced the enemy to leave their machine-guns. During this break in hostile fire, the platoon moved forward and overran the position. Private Henry, by his gallantry and intrepidity and utter disregard for his own life, enabled his company to reach its objective, capturing this key defense and 70 German prisoners. For this action, Private Henry was awarded the Medal of Honor on 12 June 1945. Unit: B Company, 16th Infantry. Place of Birth: Greenville, Mississippi. Entered Service at: Greenville, Mississippi. 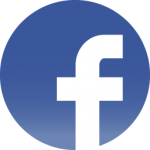 Place of Action: Luchem, Germany. Date of Death: 3 December 1944. Place of Burial: Greenville Cemetery, Greenville, Mississippi. Location of Recipient’s Medal of Honor: Rumored to have been burned in a house fire in Greenville, MS.
Staff Sergeant James W. Robinson, Jr.
On April 11, 1966, Company C, 2d Battalion, 16th Infantry was engaged in fierce combat with a Viet Cong battalion. Despite the heavy fire, Sergeant Robinson moved among the men of his fire team, instructing and inspiring them, and placing them in advantageous positions. Enemy snipers located in nearby trees were inflicting heavy casualties on forward elements of Sergeant Robinson’s unit. Upon locating the enemy sniper whose fire was taking the heaviest toll, he took a grenade launcher and eliminated the sniper. Seeing a medic hit while administering aid to a wounded sergeant in front of his position and aware that now the two wounded men were at the mercy of the enemy, he charged through a withering hail of fire and dragged his comrades to safety, where he rendered first aid and saved their lives. As the battle continued and casualties mounted, Sergeant Robinson moved about under intense fire to collect from the wounded their weapons and ammunition and redistribute them to able-bodied soldiers. Adding his own fire to that of his men, he assisted in eliminating a major enemy threat. Seeing another wounded comrade in front of his position, Sergeant Robinson again defied the enemy’s fire to effect a rescue. In so doing he was himself wounded in the shoulder and leg. Despite his painful wounds, he dragged the soldier to shelter and saved his life by administering first aid. While patching his own wounds, he spotted an enemy machine gun which had inflicted a number of casualties on the American force. His rifle ammunition expended, he seized two grenades and, in an act of unsurpassed heroism, charged toward the entrenched enemy weapon. Hit again in the leg, this time with a tracer round which set fire to his clothing, Sergeant Robinson ripped the burning clothing from his body and staggered indomitably through the enemy fire, now concentrated solely on him, to within grenade range of the enemy machine gun position. Sustaining two additional chest wounds, he marshaled his fleeting physical strength and hurled the two grenades thus destroying the enemy gun position as he fell dead upon the battlefield. His magnificent display of leadership and bravery saved several lives and inspired his soldiers to defeat a numerically superior enemy force. 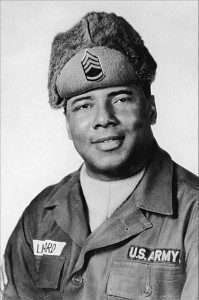 For this action, Sergeant Robinson was awarded the Medal of Honor on 16 July 1967. The medal was presented to Sergeant Robinson’s family by Secretary of the Army Stanley R. Resor at the Pentagon on 16 July 1967. Unit: C Company, 2d Battalion, 16th Infantry. Place of Birth: Hinsdale, Illinois. Date of Death: 11 April 1966. Place of Burial: Clarendon Hill Cemetery, Westmont, Illinois. Place of Action: near Xa Cam My, Republic of Vietnam. Location of Recipient’s Medal of Honor: Robinson Secondary School, Fairfax, VA.
Platoon Sergeant Matthew Leonard distinguished himself during combat operations with Company B, lst Battalion, 16th Infantry, near Suoi Da, Republic of Vietnam, on 28 February 1967. His platoon was suddenly attacked by a large enemy force employing small arms, automatic weapons, and hand grenades. Although the platoon leader and several other key leaders were among the first wounded, Sergeant Leonard quickly rallied his men to throw back the initial enemy assaults. During the short pause that followed, he organized a defensive perimeter, redistributed ammunition, and inspired his comrades through his forceful leadership and words of encouragement. Noticing a wounded companion outside the perimeter, he dragged the man to safety but was struck by a sniper’s bullet which shattered his left hand. Refusing medical attention and continuously exposing himself to the increasing fire as the enemy again assaulted the perimeter, Sergeant Leonard moved from position to position to direct the fire of his men against the well camouflaged foe. Under the cover of the main attack, the enemy moved a machine gun into a location where it could sweep the entire perimeter. This threat was magnified when the platoon machine gun in this area malfunctioned. Sergeant Leonard quickly crawled to the gun position and was helping to clear the malfunction when the gunner and other men in the vicinity were wounded by fire from the enemy machine gun. 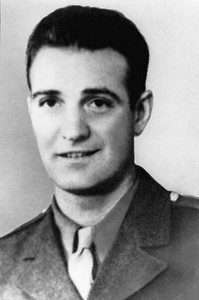 Sergeant Leonard rose to his feet, charged the enemy gun and destroyed the hostile crew despite being hit several times by enemy fire. He moved to a tree, propped himself against it, and continued to engage the enemy until he succumbed to his many wounds. His fighting spirit, heroic leadership, and valiant acts inspired the remaining members of his platoon to hold back the enemy until assistance arrived. Sergeant Leonard’s profound courage and devotion to his men are in keeping with the highest traditions of the military service, and his gallant actions reflect great credit upon him and the United States Army. For this action, Sergeant Leonard was awarded the Medal of Honor . The medal was presented to Sergeant Leonard’s wife Lois by President Lyndon B. Johnson during a ceremony at the Pentagon on 19 December 1968. Unit: B Company, 1st Battalion, 16th Infantry. Place of Birth: Eutaw, Alabama. Entered Service at: Birmingham, Alabama. Date of Death: 28 February 1967. Place of Burial: Shadow Lawn Cemetery, Birmingham, Alabama. Place of Action: near Suoi Da, Republic of Vietnam.